When I first moved to NYC I stayed with a friend who lived in Chinatown on Monroe street in a one bedroom tenement – the garbage cans where in the hallways, which were painted a very dark grey, the tilt of the floors was so great that if you dropped something round it would roll to the other side of the room. The shower was in the kitchen and the toilet was in a closet in the living room. I slept on a futon in the: dressing room/closet/bedroom (my friend worked in a very high-end clothing store so clothes were a priority. Every night I would tuck all the sheets under the futon because I was so worried that I would wake up with “wild life” in my bed, and there was an abundance of wild life co-habitating with us. Needless to say this place was a bargain and I loved it. 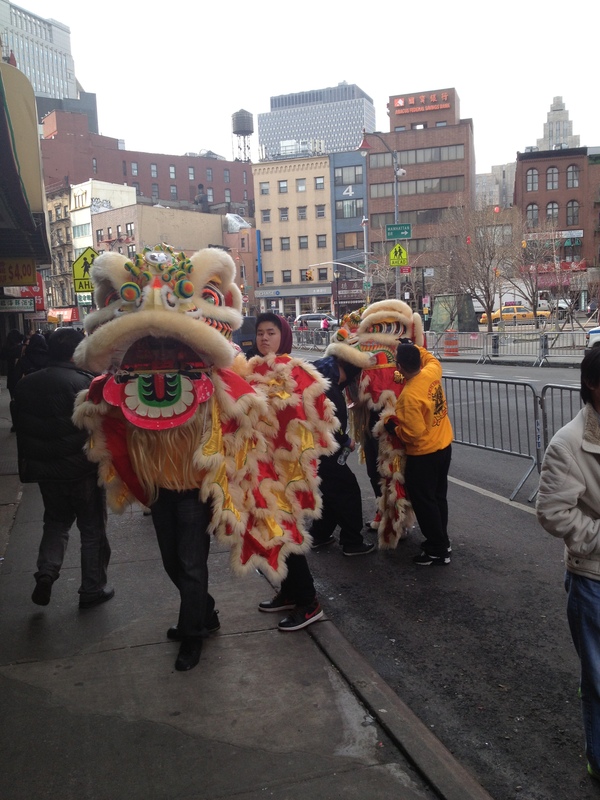 I digress… my first Chinese New Year in New York was before they banned fireworks and walking along the streets of Chinatown was not dissimilar to taking a stroll through a bombing attack in Beirut. 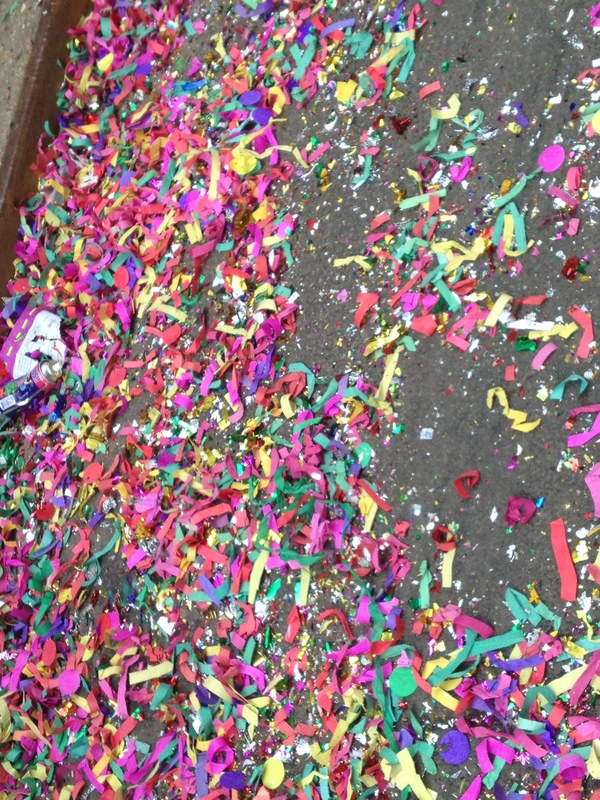 So this video is very charming to me, now instead of firecrackers being exploding at your feet they have these colorful tubes that somehow gently blow glitter out of them. A big improvement, as now I’m not afraid to partake in the festivities. 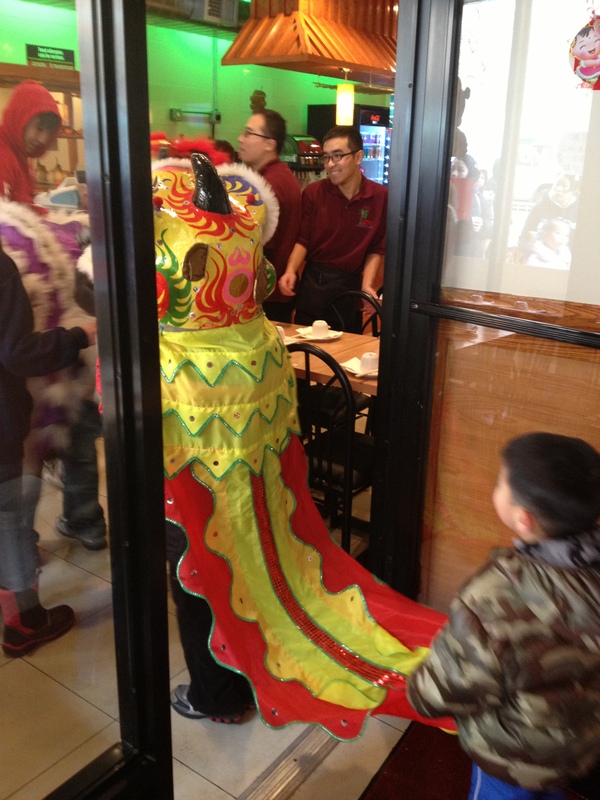 In order to bring good luck the dragon has to enter your store…love this. 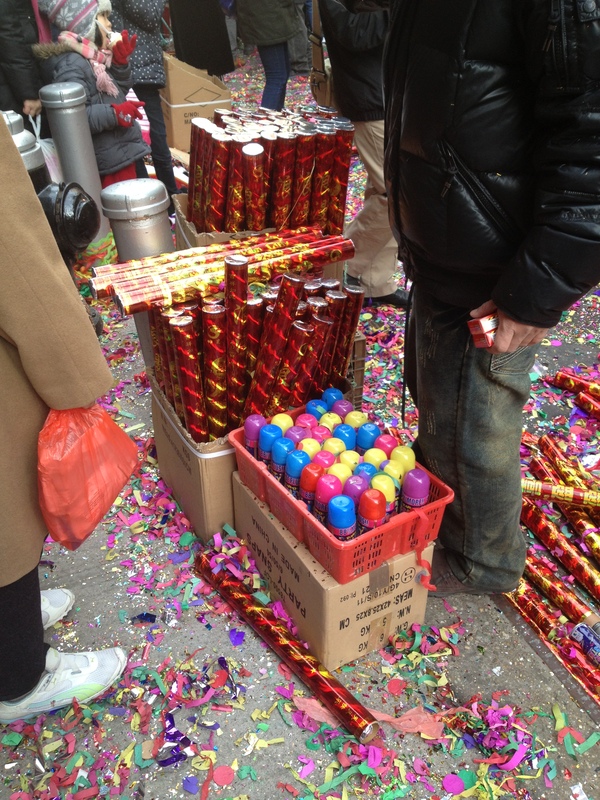 In my neighborhood I saw a several tables heavy with Moon Cakes and bags of rice (an offering ?) outside a temple, I was in such a hurry I didn’t snap a picture because I finger this would be a common site. It wasn’t. But here is a picture of a local bakery that seems to make nothing but Moon Cakes which are filled usually with Red Bean or Lotus Seed paste and can be incredibly ornate and beautiful. 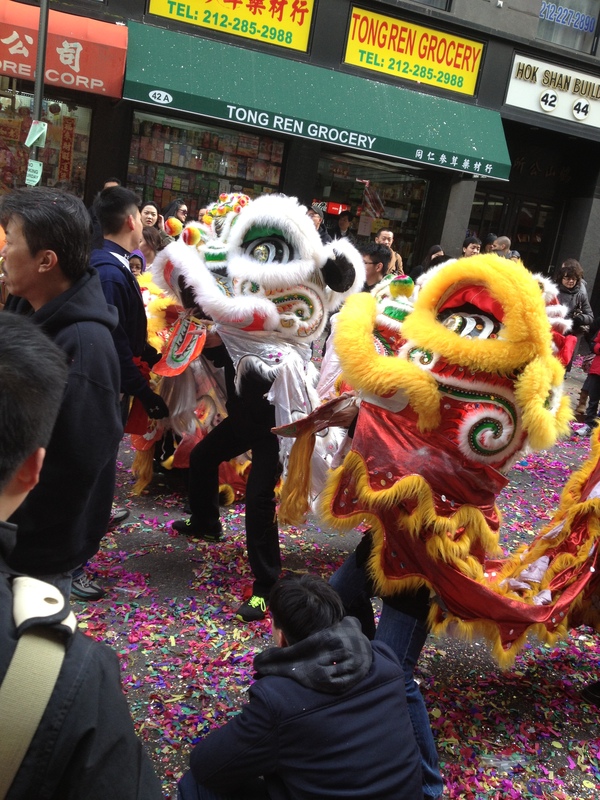 They are an important staple of the Lunar New Year and are sliced up into wedges and eaten with tea traditionally. 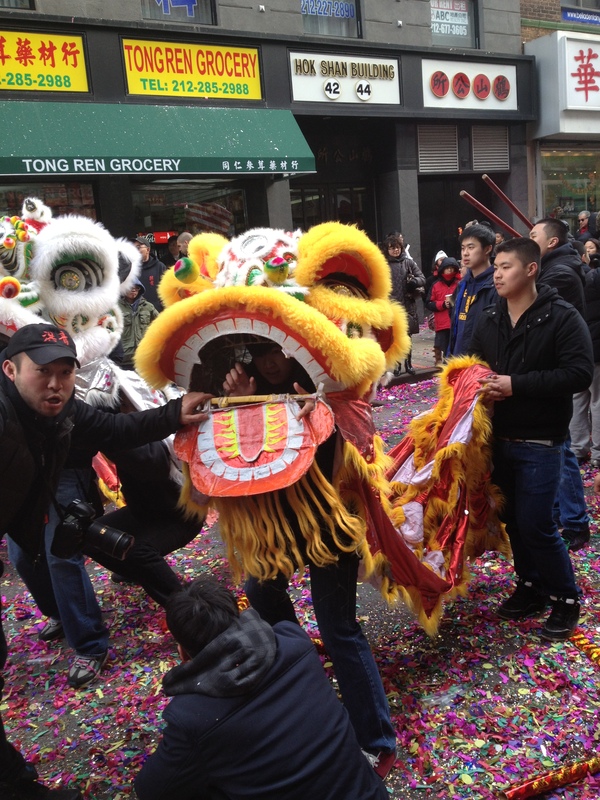 This entry was posted in NYC, Other Stuff and tagged Chinatown NYC, Dragons, Lunar New Year, Mooncakes. Bookmark the permalink.